Last year saw growing anxiety about a “digital skills gap” in the UK. Studies by both Deloitte and Barclays highlighted the need to close that gap or risk losing our business edge. As digital transformation experts for over two decades, the Influential Software team is deeply aware of the need for continual learning. And this passion is the basis for our MuleSoft recruitment and MuleSoft training services. Just like digital skills in general, MuleSoft certifications and hands-on experience are in higher demand than ever. To prove that we need only look at the London MuleSoft Summit, which drew 2,500 people in 2018. That’s compared with only 40 people at the first summit three years before! As a MuleSoft Partner, we know exactly why MuleSoft has grown so quickly. MuleSoft integration solutions are vital for the opacity and agility that businesses need in the new digital economy. But however smart your software is, you still need people to understand it. That’s where MuleSoft recruitment and MuleSoft training come in. 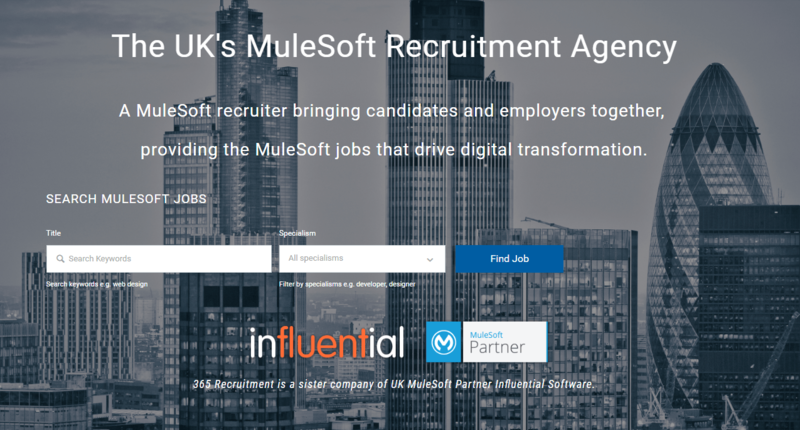 Considering that Influential Software has a network of around 200 internal, contract, and permanent MuleSoft experts, that gives our clients an excellent spread of those elusive 250 UK candidates. Ultimately, that one-on-one approach to recruitment is key. “When I recommend a candidate, I can say that I’ve met him face to face, had a coffee with him, and know he’s a good guy. That matters. We’re not sending a CV, we’re sending a person,” says Dunne. While MuleSoft recruitment provides the current need, the only way to close the skills gap in future is through MuleSoft training. Staying ahead of the game as always, we recently launched a new MuleSoft training site. With training routes for developers, operations, integration partners, architects, managers, and admins, our courses cover all aspects of MuleSoft technology. Looking to plug a MuleSoft gap? Ask our team to get started.